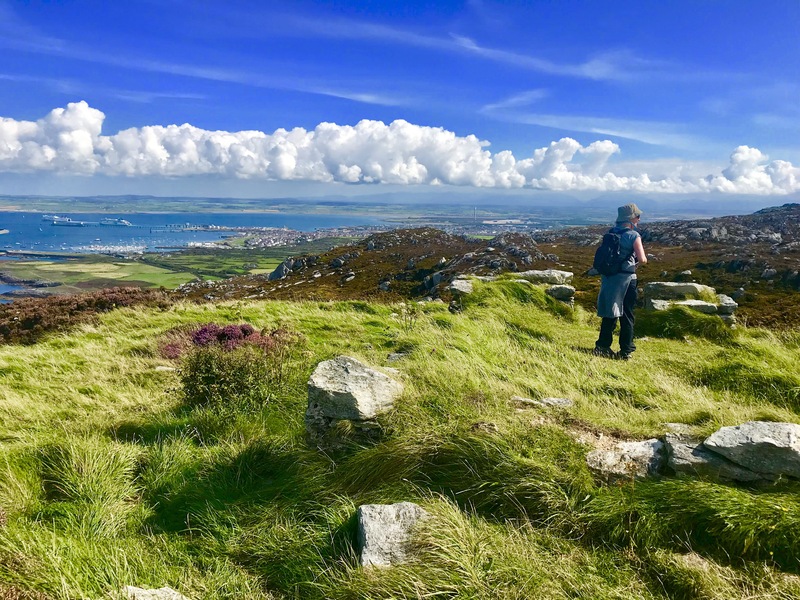 According to my Walking app tracker it is just under 20k from Trearddur Bay on the coastal path to Holyhead. I have to say it’s probably one on the toughest sections but also the most stunning. 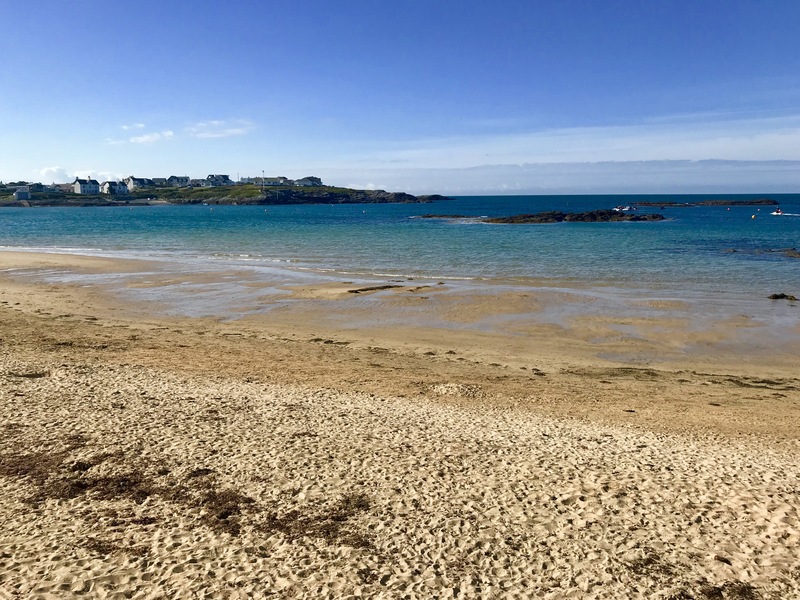 Starting at Trearddur bay to coastal path follows the shore using a mixture of b-roads and footpaths. It’s pretty easy walking just watch out for the cars. 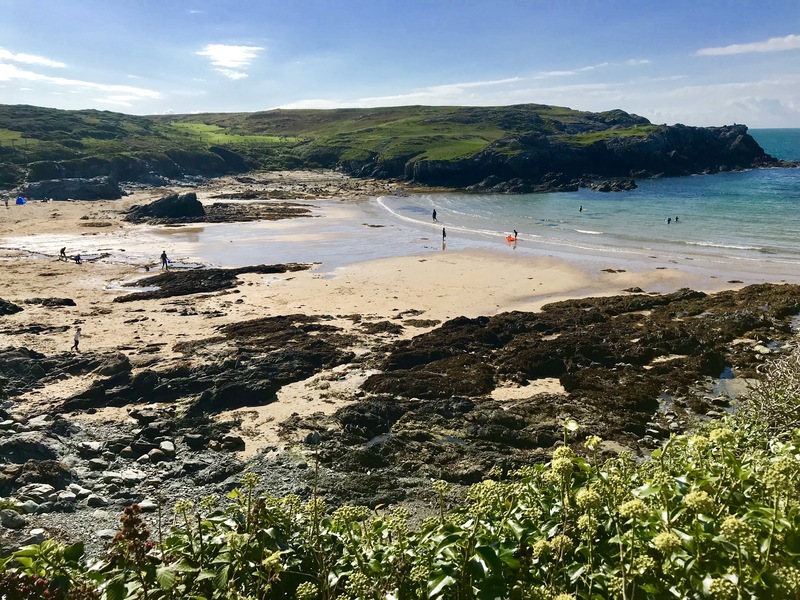 After a few km you come to a stunning beach called Port Dafarch. It’s probably one of the best on the island and has a blue flag also. 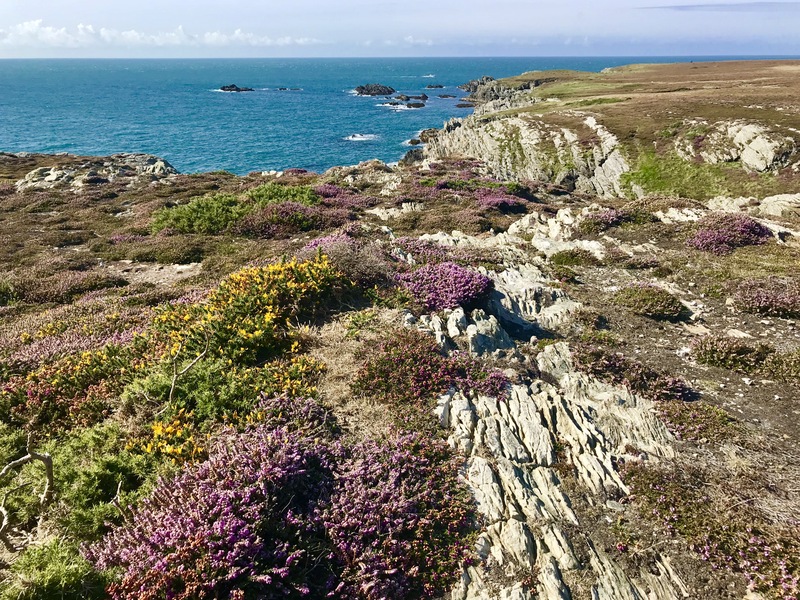 The path crosses The South Stack Nature reserve area and at the time of our visit the heather was still in bloom. (early Sept) . There are plenty of sea and other birds here. 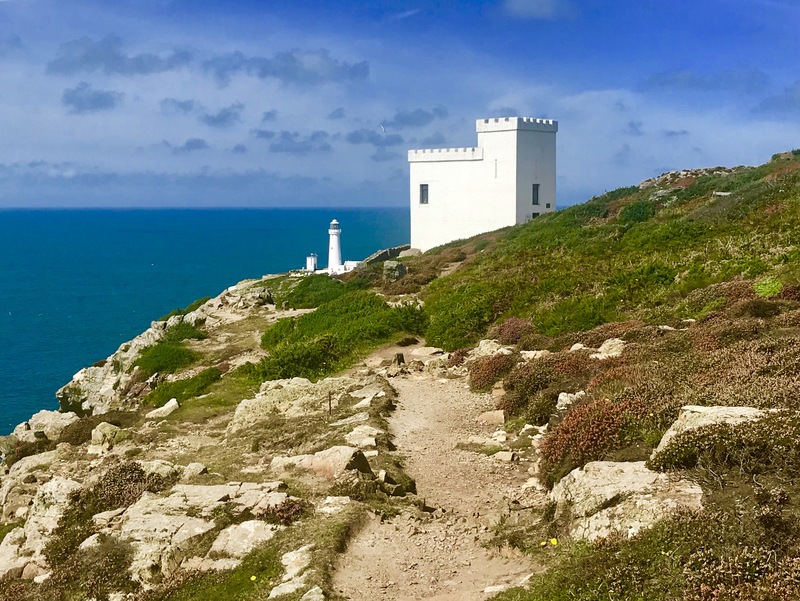 Eventually you arrive at Ellins Tower which is now owned by the RSPB, and is used as a watch out for sea birds. Pop in as it’s free and manned by volunteers. 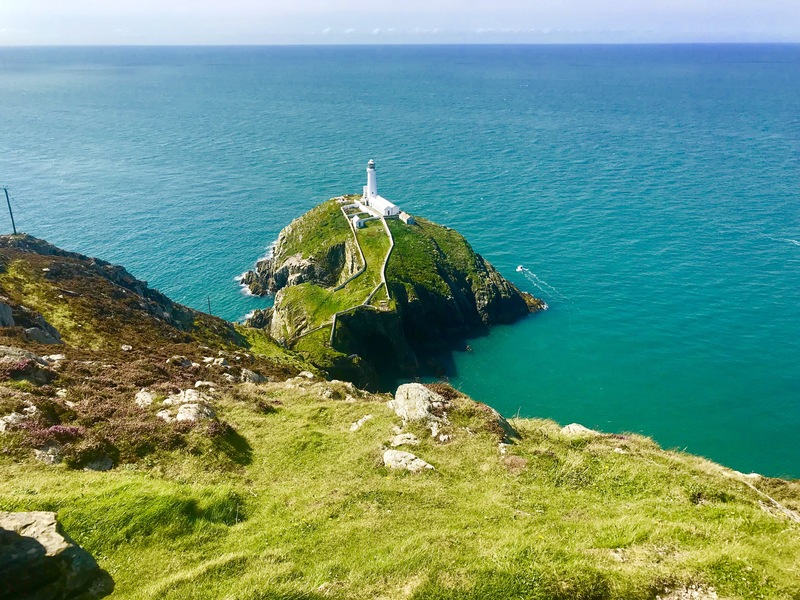 South Stack lighthouse is stunning. Not really much to say apart from that. 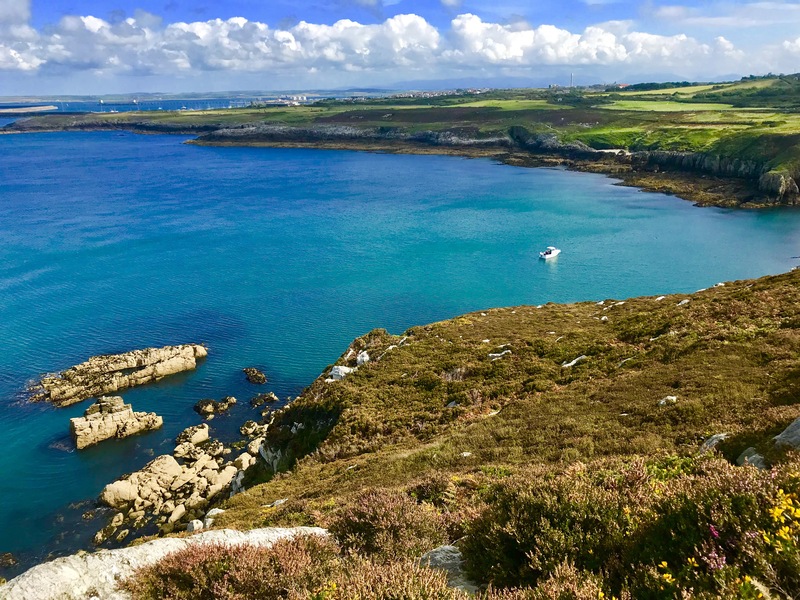 As you are heading towards Holyhead you come to Porth Namarch. Look it for seals here as they like the shallow calm water. Some even come here to calf in the Autumn. 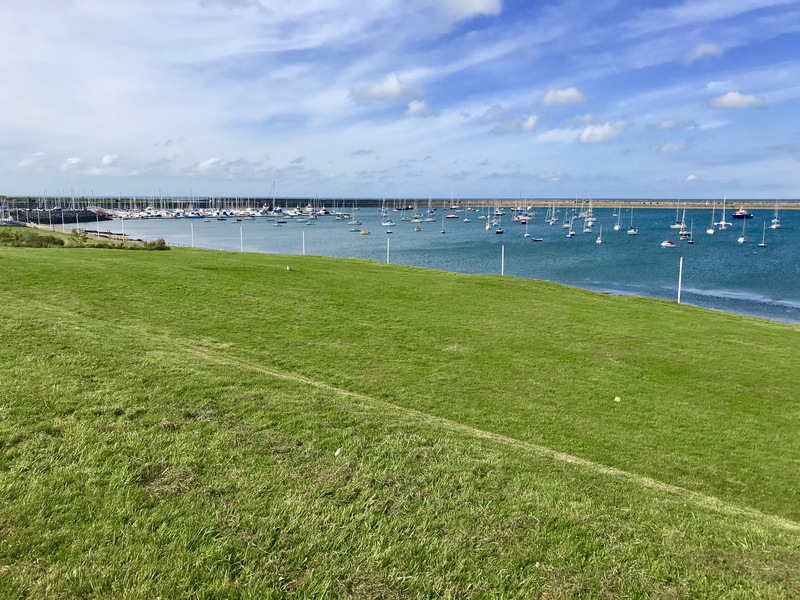 Holyhead seafront is a fine Promenade example, with seats, gardens and an ice cream Van. 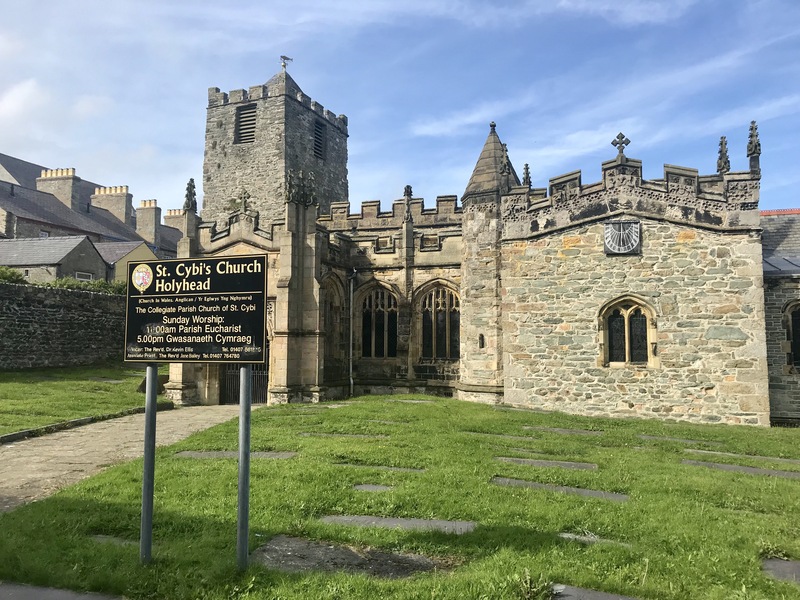 Finally you arrive at St Cybri’s church which marks the start and end of the Anglesey Coastal path. Lookout for the sign in the churchyard that marks the official start and end. It’s quite small but is near the gates that meet Market Street. 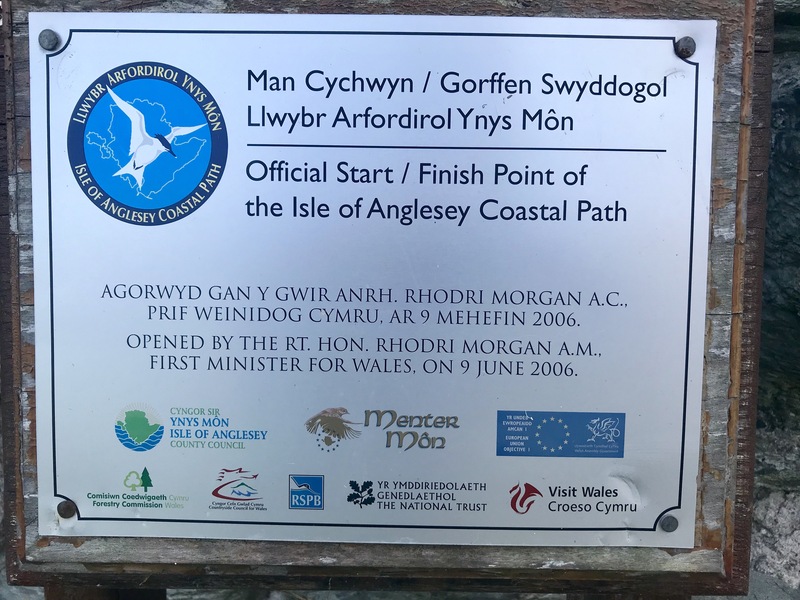 So that’s another section of the Anglesey Coastal Path completed . What a lovely route.